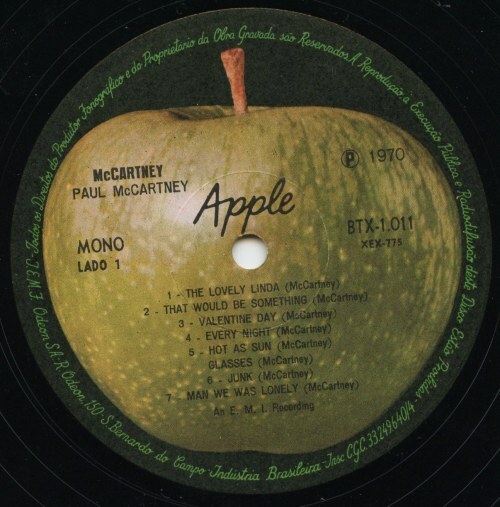 A rare and unusual Brazilian edition of McCartney in mono from the Chained and Perfumed collection. Nice. 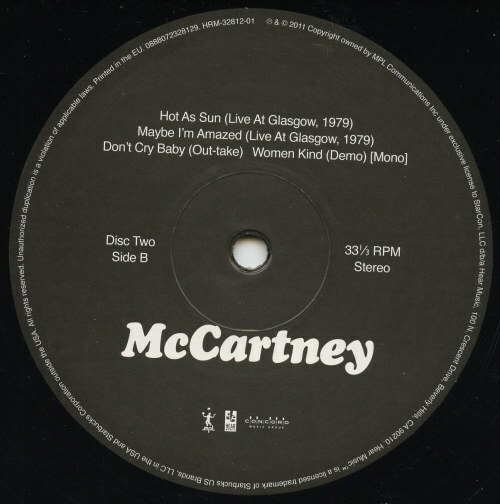 The new McCartney Hear Music reissue. 2011. Released just last week on vinyl and CD. 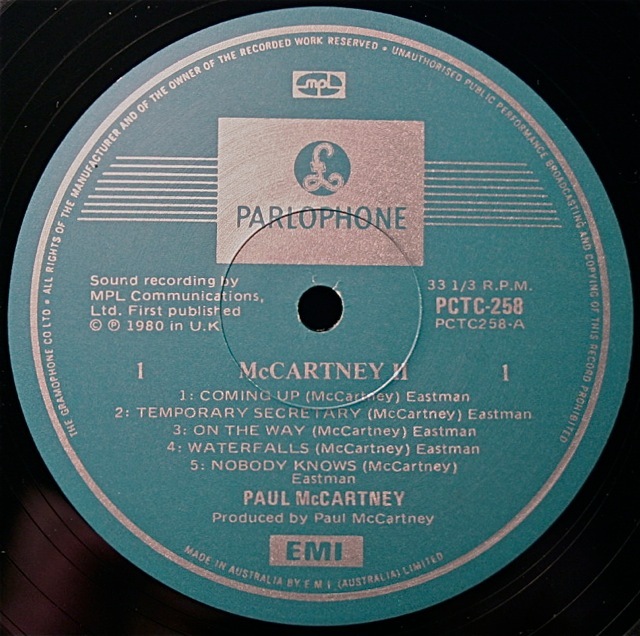 This label is from the second disc of the two-disc LP set which contains some rare and previously unreleased stuff. 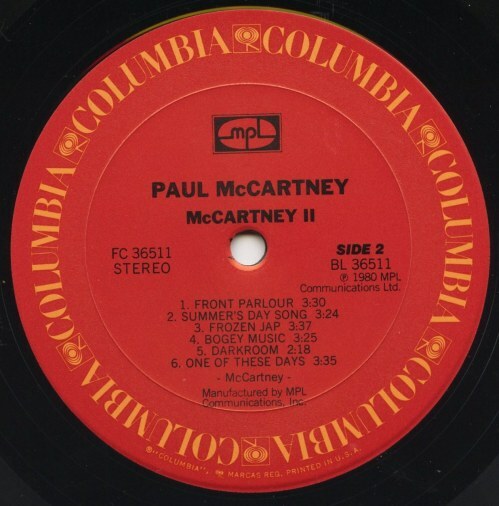 McCartney II. 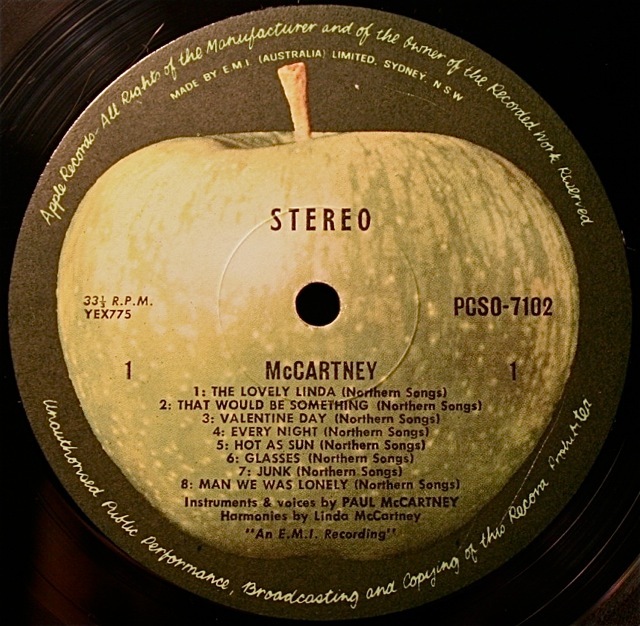 Side 2 of U.S. edition. 1980. (I have a variation of this label below with the MPL logo in different spot). 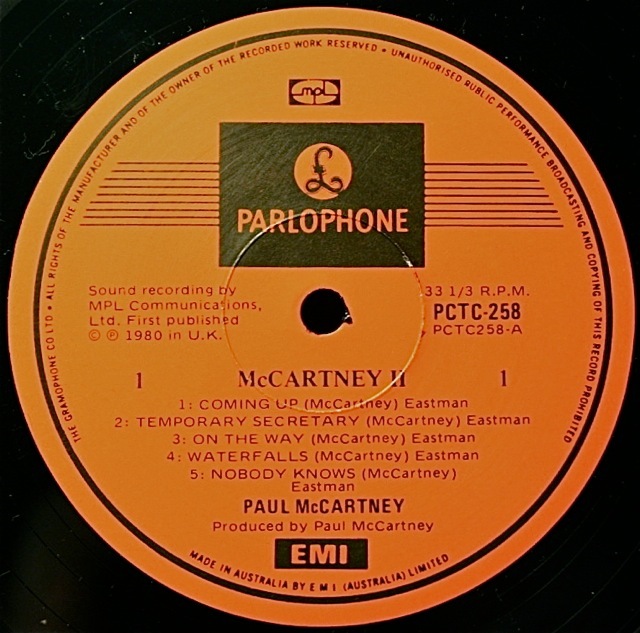 McCartney II. Side 2 of the Japanese edition. 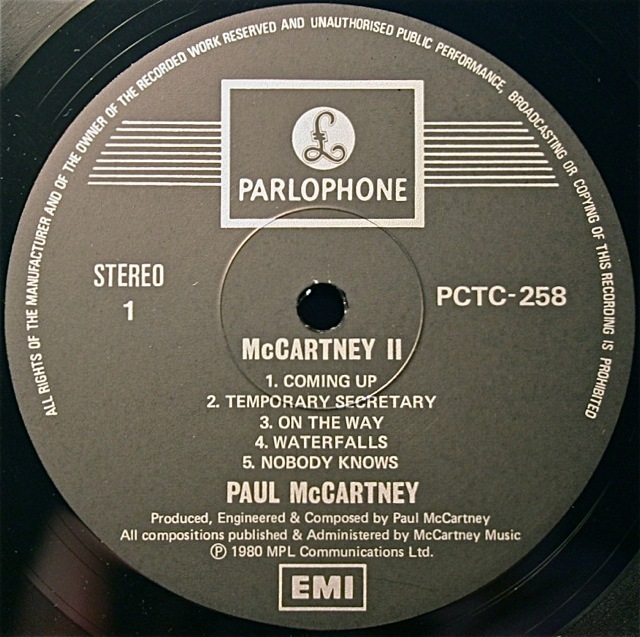 McCartney II. US pressing. 1980. This is included as its a variation on the one above. The MPL logo placement is different. 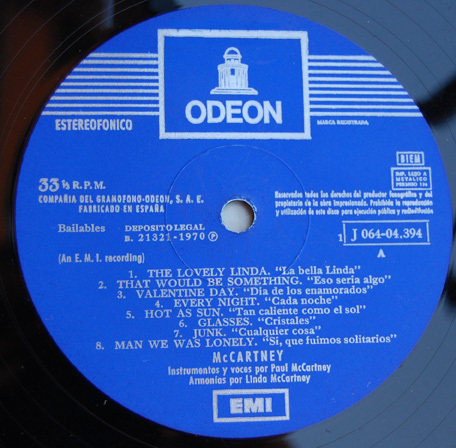 McCartney II. Singaporean pressing. 1980. 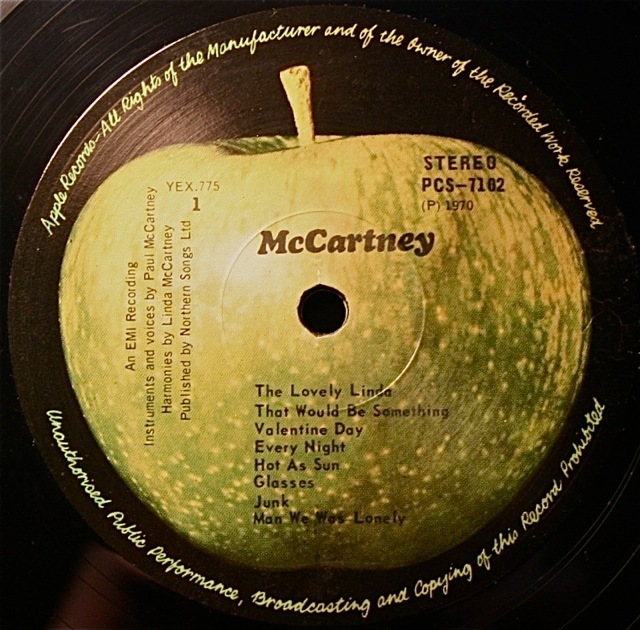 These pressings were made in Singapore but also sent to Hong Kong and Malaysia. 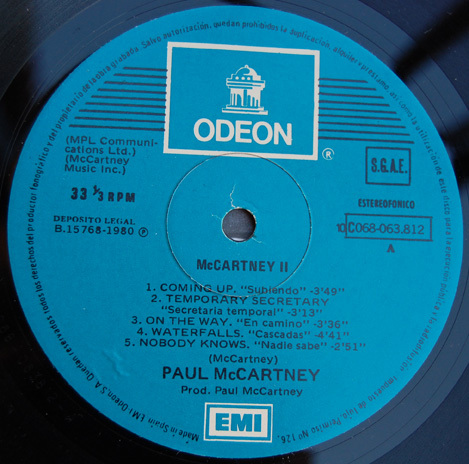 McCartney II. An original Australian pressing with the orange Parlophone label. 1980. 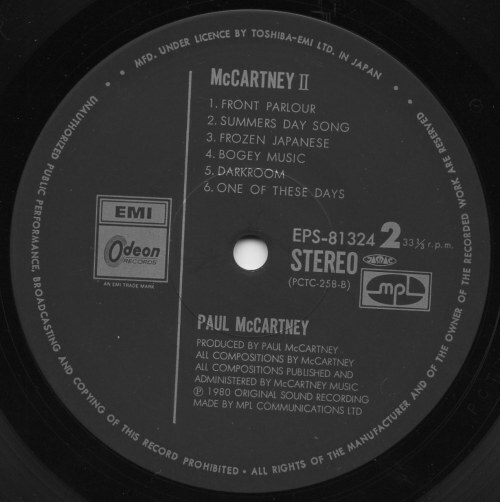 McCartney II. Unusual Australian green/blue Parlophone label from a re-issue – probably in the late 1980’s or early 1990’s. UPDATE: Some other labels are beginning to come in. Thanks to Paco who writes: “Here are mine. They are Spanish editions with the translation of the titles. All generic EMI Odeon labels (nothing too exciting :-)”. 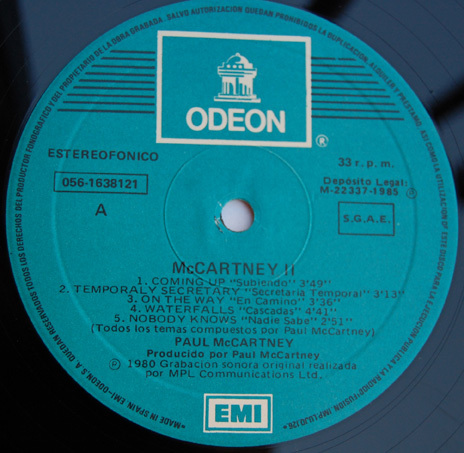 McCartney (above) – The Spanish edition with translations of the titles of each song. Above is the “Fame” budget label re-issue, this time for the Spanish market. Nice. 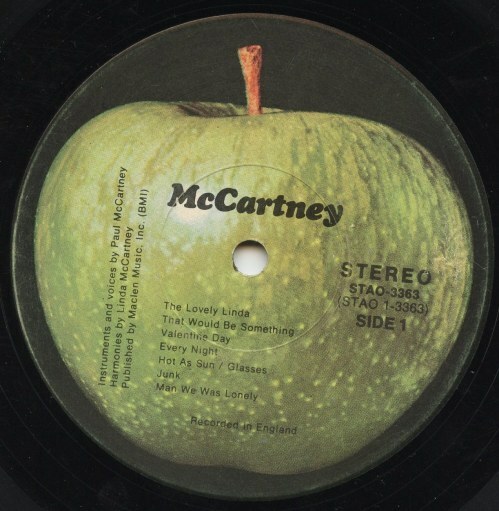 Have a look here for more on budget Beatles releases. 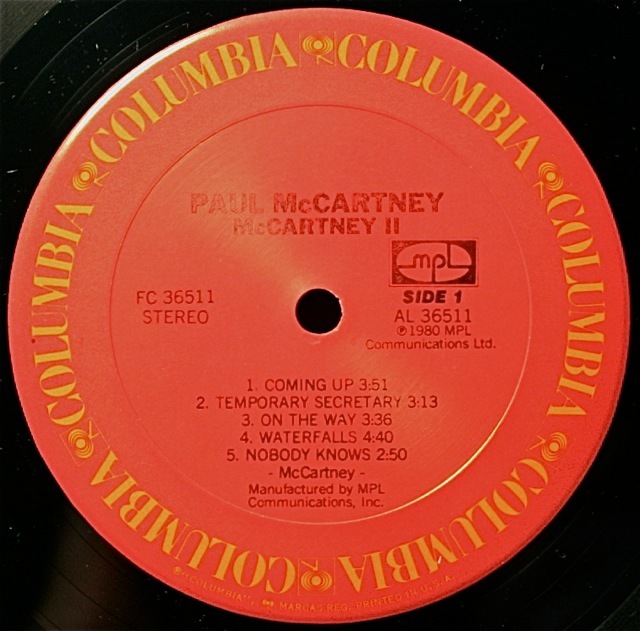 This entry was posted in Beatles, Beatles Collecting, Beatles Music, Beatles Related, Paul McCartney and tagged Beatles, Beatles Collecting, Beatles Related, McCartney II reissue, McCartney reissue, Paul McCartney by beatlesblogger. Bookmark the permalink. 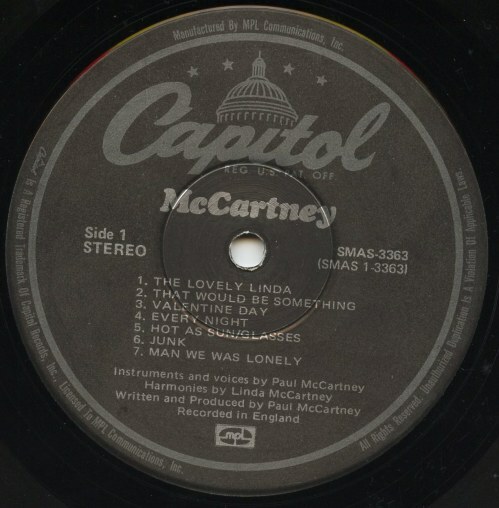 ¿What´s your favorite Beatle song and why? Gee Aniko, I don’t really know. Perhaps we should open it up for more general comment. Narrowing down one absolute favourite Beatles song is quite a challenge. I don’t speak Spanish but it looks like you have nominated not one, but seven fav’s on your blogsite “Day Tripper”, “Norwegian Wood”, “I’m Looking Through You”, “Eleanor Rigby”, “Because”, “Fool On the Hill” and “Being For the Benefit of Mr Kite”. What do others readers think? Top Beatle song and why? ‘Come Together’ on Abby Road. Great song! Every song on the album rocks!! !